Our series, A Textbook of Social Sciences for Classes 6 – 8, has been revised according to the latest instructions given by CBSE for Continuous and Comprehensive Evaluation (CCE) and the latest NCERT syllabus. The CCE aims at making evaluation an integral part of teaching-learning process and focuses on all-round development of personality of the learners. Our new series keeps this view in mind and is a learner-friendly series in the true sense of the word. It explains the basic concepts of Social Sciences in such a clear, stimulating and comprehensive manner that the child has no problems whatsoever in understanding the complex working of the present day society and the world at large. Each book in the series has been divided into three units — History, Geography and Social and Political Life. The syllabus has been covered comprehensively, dealing with all aspects — political,social, economical and cultural. Simple and straightforward text which helps the child to easily understand the text. Attractive illustrations, well-labelled diagrams and detailed maps make the process of learning truly enjoyable. Did You Know? – Interesting facts which kindle the child’s curiosity to know more. Case Studies assist the child to understand topics with ease. 1. Formative Assessment is a tool used by the teacher to continuously monitor a student’s progress, to improve the student’s performance, raising the child’s self-esteem and reduce the workload of the teacher. Formative assessment is diagnostic and remedial, provideseffective feedback to students and allows the students active involvement in their own learning.It includes: (i) Activity (ii) Assignment (iii) Project (iv) Group discussion (v) Retelling stories(vi) Quizzes (vii) Making charts and posters (viii) Debates, speeches, seminars. 2. Summative Assessment is the terminal assessment of performance at the end of instruction. 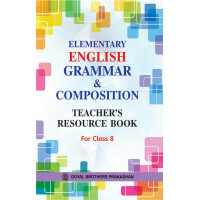 It is an end term assessment based on curriculum and syllabus for classes 6 to 8— a written test. It includes : Objective questions in the form of (i) multiple choice; (ii) one-word answers; (iii) true or false; (iv)Fill in the blanks; (v) Match the following; (vi) Defining terms,short-answer and-long answer questions.